Previous post: Spring Cleaning and New Beginnings …Remodel or Build New? A new custom home built by Mason Construction Inc, boasts an impeccably laid out 5,000 sq. ft. floor plan surrounded by a beautiful wooded lot perched high up on Radio Hill just outside of Traverse …. 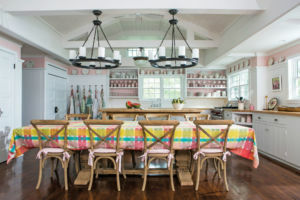 When helping our clients plan their custom home in Northern Michigan, the kitchen is one of the most scrutinized rooms. After all, it is one of the most important rooms in the entire home and …. Whether you are building your new dream home or remodeling your existing home, choosing the right material for your countertops is no easy task. The variety of materials and the selection of finishes and colors …. Open shelving in kitchens, most often stirs up one of two reactions: You either like or dislike them. We think that the open shelving we did for the owners of a Lake Michigan home turned …. As a custom home builder for Northern Michigan, Mason Construction clients often embrace cottage style and lake living. Our minds often relish in the visions of summer and beach activities. With winter just around the ….